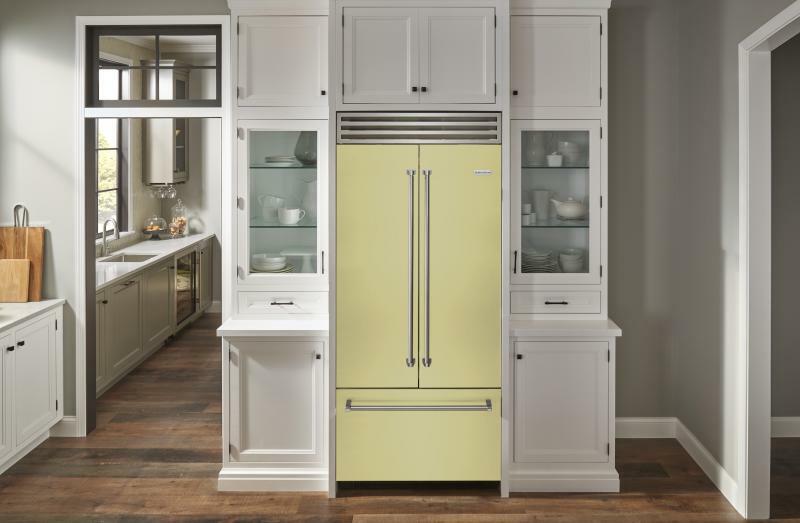 Appliance manufacturer BlueStar and interior designer Eric Cohler have collaborated on a new line of colored products that draw inspiration by the flavors and colors of fresh, seasonal ingredients. "Customization is a critical part of BlueStar's heritage,” says Eliza Sheffield, BlueStar’s president. "We were the first large appliance manufacturer to introduce literally hundreds of colors across our product line. We are excited to expand our relationship with the talented Eric Cohler to cultivate inspiration in the kitchen through bespoke design." Consisting of four custom seasonal palettes, Savor the Seasons will be rolled out by season, with Autumn Abundance first up this fall. The palette features sweet, honeyed Persimmon; aromatic Turmeric tinged with a hint of orange and ginger; the neutral, earthy Spelt; and the salty, ocean-fresh Bluefish. “Coming soon is Winter Solstice, followed in 2019 by Spring Awakening and Summer Bounty,” the company says. 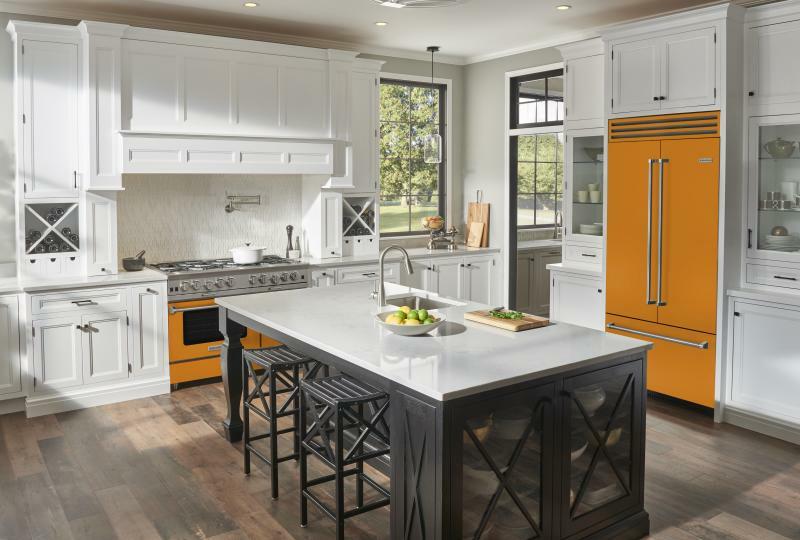 “The four gorgeous color collections work seamlessly together, so a homeowner can design an entire kitchen space using the collection as inspiration—from the color of the appliances, to the cabinets, to the accent pieces. Each palette will feature Cohler's personal recommendation for a metal trim, from antique brass to pewter, to complement each season's specific color collection. BlueStar says Cohler's renowned style emerges in the rich, saturated colors of each palette. "The colors work separately or together and harmonize perfectly with each other, in terms of design and materials,” the designer says. “They are timeless and can be integrated into traditional, contemporary, and modern kitchen and living styles. The colors feel luxe and unique yet livable; you could use them on a full suite of appliances (from ranges to hoods to refrigerators) or on one statement piece."